At West Carteret Water Corporation, our goal is to provide safe, clean, sparkling water to all of our residents! West Carteret Water Corporation is a nonprofit, member-owned water utility serving western Carteret County along the coast of North Carolina. After incorporating in 1984 and then establishing an office in the community of Broad Creek in 1986, a few dedicated residents were able to see their efforts fulfilled. Awarded a $5.4 million loan from the USDA Rural Development, West Carteret Water Corporation began constructing a water system in 1988. The system was completed in 1991, but has expanded several times. The corporation's daily operations are administered by a General Manager under the guidelines established by a nine-member Board of Directors. These directors are elected by the membership to serve staggered three-year terms. 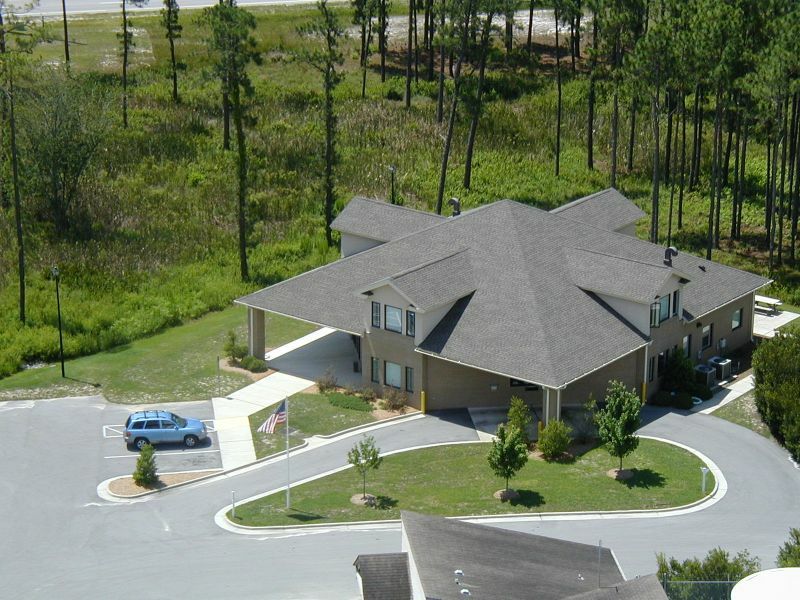 WCWC's office and treatment facility are located in the community of Ocean at 4102 Highway 24, five miles east of Cape Carteret. The water plant was developed for the primary function of removing color and softening using a resin filtration system. The potable water is produced from five deep wells. The system serves a customer base consisting of residential, commercial, and institutional members on distribution lines located from Gethsemane Memorial Park near Morehead City along the Highway 24 corridor to the White Oak River in Cedar Point. Currently, our northernmost boundary ends on Highway 58 near Hadnot Creek West Subdivision. In addition to several unincorporated communities, such as Gales Creek, Broad Creek, and Ocean, West Carteret Water Corporation currently serves the Towns of Bogue, Cape Carteret, Cedar Point and Peletier. Several factors relating to the production of water will require continued planning. The most important of these is our raw supply. Regularly, WCWC tests the raw water supply for the purpose of observing and recording trends in both water quality and quantity. In addition to changes in our supply, the Environmental Protection Agency and Public Water Supply Section of the NC Department of Environment and Natural Resources are constantly revising guidelines. These changes require water distributors to implement treatment and testing that is both beneficial and very costly to the system. Finally, the anticipated population growth of our service area necessitates that we explore the future of our treatment facilities to ensure that we have adequate supply and services. During a study of our wells a few years ago, we found that three of the existing wells have a much higher iron content as compared to when they were placed in service in 1991. This is historically typical of the Castle Hayne Aquifer. The iron fouled our color removal resin, impeding the plant's ability to remove color. As such, WCWC applied for funds in 2004 to expand the treatment plant, add iron removal, construct a new well, and extend water lines to communities and subdivisions still without potable supply. This Phase IV expansion was approved for funding by USDA Rural Development in 2006 and construction began in March 2007 with a budget of $8.3 million dollars. Along with the original construction plan, WCWC also budgeted for a Hexagram fixed-network meter reading system. Hexagram will allow the company to read water meters remotely from the office, as well as, provide valuable usage and leak detection information. The new water meters will be installed in the Phase IV expansion area, which includes Stella, Old Church Road, Cedarwood Estates, Hadnot Creek West, Lake Arthur Estates, Bogue Sound Yacht Club, Foxlair Subdivision, Steep Hill Drive, and a section of West Fire Tower Road. WCWC will change-out existing meters throughout the system beginning in October 2007. The change-out process is anticipated to take 4-5 years and will begin in the Town of Cedar Point. Phase IV is likely the last very large expansion for West Carteret Water Corporation, although future plans for water treatment will be dictated by testing results and requirements by governing agencies.